'Independents' find themselves in familiar territory: focus of every statewide candidate's attention. With polls showing the two main gubernatorial candidates only a few percentage points away from victory, their campaigns are focused on winning votes from nonaffiliated and independent voters in the final days before Tuesday's election. The last-minute choices of those voters could determine the outcome of the race, political analysts said Thursday. Nonaffiliated voters make up 32 percent of the state electorate. They are the second largest voting bloc after Democrats who make up 36 percent. When combined with independents, nonaffiliated voters outnumber Democrats. 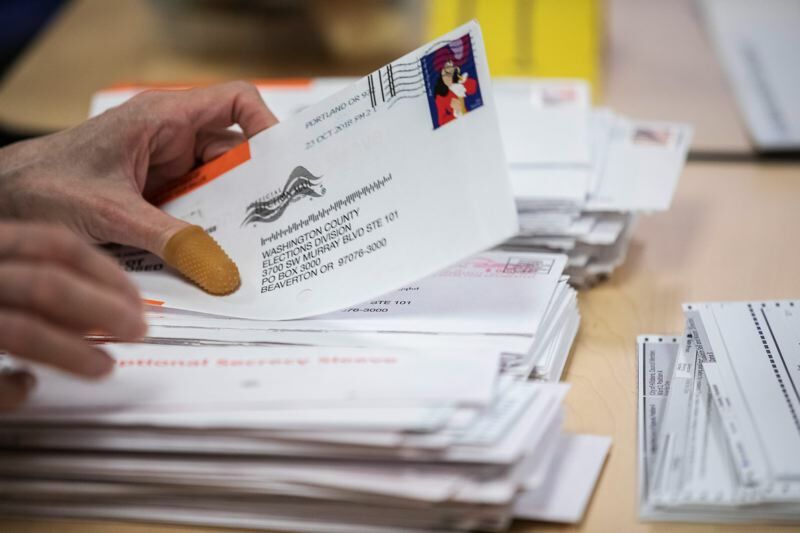 As of Friday, 83 percent of nonaffiliated and 68 percent of independents still hadn't returned their ballots, according to the Oregon Elections Division. Meanwhile, 60 percent of Democrats and 60 percent of Republicans have yet to turn in ballots. "There are far more independents and nonaffiliated voters (as a percentage) that have yet to vote than Democrats and Republicans so how they break in the last week of the election is probably going to determine the outcome of the governor's race," said Sal Peralta, secretary of the Independent Party of Oregon. Troutdale resident Steve Smith, a registered Independent, is one of those who hasn't voted yet. "I wait until Voting Day," Smith said. "It's kind of a tradition." Democratic incumbent Gov. Kate Brown's campaign has been targeting ads toward nonaffiliated voters on social media sites such as Facebook, said spokesman Christian Gaston. "What the social media networks are doing is they are offering that advertising profile and offering both campaigns and commercial advertisers access to different consumers," Gaston said. Additionally, the campaign also is reaching such voters through door knocking, phone calls and text messages, Brown said. 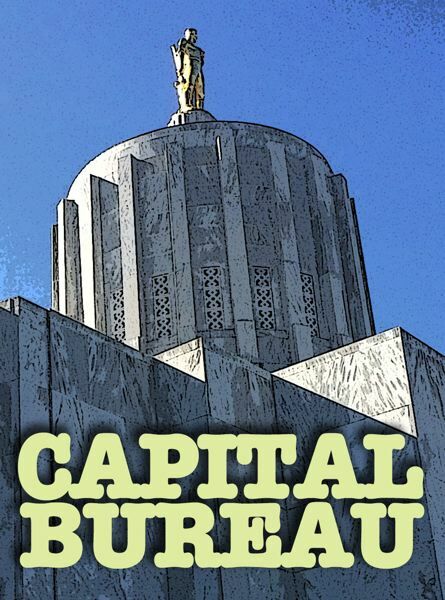 "The second largest group of voters in Oregon now is nonaffiliated, so what that tells me is the Oregon electorate, Oregonians, are hungry for systems reform and I think, campaign finance, is part of those reforms that need to happen," the governor said Tuesday. She made the comment minutes after Patrick Starnes, Independent Party of Oregon candidate for governor, withdrew from the race and endorsed Brown. Starnes campaigned principally on limiting political contributions. Brown agreed to support a ballot measure to do that in 2020. Charles Starr, a nonaffiliated voter from Portland, said he voted for Starnes and returned his ballot the day before the candidate withdrew. "If I had known that before, I would have just voted for Kate Brown," Starr said. He said he usually votes for liberal candidates. Among his reasons is their pro-life stance. "Kate was already my back-up option," Starr said. Smith, the independent from Troutdale, said he is leaning toward voting for Republican challenger Knute Buehler. "I think it's time for the state to have a change," Smith said. "You leave one party in power long enough, and things start to go sideways." He said he would like a Republican governor to have veto power over the Democratic majority in the Oregon House and Senate. "I am anti-corruption, and I also am all about checks and balances," he said. Ricky Story, a nonaffiliated voters from Clackamas County, said he has never voted Republican but planned to vote for Buehler. "I think we need some changes, and maybe that will be the change," Story said. "We don't have a lot of options." Buehler's campaign also is reaching out to nonaffiliated and independent voters "through grassroots efforts, events, canvassing, ads and informational pieces," said spokeswoman Monica Wroblewski. "Every vote is really important in this race," Wroblewski said "Independent voters in particular feel like the typical partisan labels don't define them and are looking for new leadership. We are using every tool we can to communicate Knute's message to these voters." She declined to provide specifics on how the campaign was identifying and reaching nonaffiliated voters. But county voter registration rolls are public. Campaigns can target certain voters by feeding names from the registration rolls into Facebook, which matches the name with profiles of Facebook members, said Peralta, who is running for re-election to McMinnville City Council. "Then Facebook targets marketing directly at them," Peralta said. John Horvick, vice president and political director at DHM Research, said nonaffiliated voters are all over the political spectrum. They can be more liberal than Democrats, more conservative than Republicans or somewhere in the middle. But based on surveys of nonaffiliated voters over time, their average profile is a younger man who leans left on social issues and right on fiscal issues, Horvick said. How nonaffiliated and independent voters sway the election depends both on the candidates' ability at persuasion and overall turnout, Horvick said. "Some nonaffiliated voters may be asking themselves is this election even worth my time," Horvick said. "Is it worth returning a ballot?" In the results from eight polls on the race, Democratic incumbent Gov. Kate Brown has been ahead of Republican challenger Knute Buehler by an average of 3 percentage points, Horvick said. "If Knute wins, or if Brown wins by greater than that, it is good indication of how independent and nonaffiliated voters have moved," Peralta said.